...lately I haven’t been receiving my boosters when I finish in the top three on the leaderboard. Has this been discontinued? I don’t appreciate being mislead. Never had I hated a game as much as I do on this game!! No wonder why I stopped playing this game for awhile!! I’ll probably stop playing for awhile again!!! Need more levels!! Send levels!! I think since I am above in candy crush I should at least get s hammer or piñata I am not passing as ma y levels this time As the others who are on lower levels But I am still top rank It’s not fair since lower levels are easier than the ones I am on Thankyou Barbara Fierro smiley 07067@yahoo .com I won high score in championship this past week When do I get my prize If you look I am leading so far this week today is Sunday Easter I really had a lot of levels this week Let me know please Thankyou smiley07067@yahoo. com I did not want to take part in big championship I go with my friends Still waiting for rewards for last week coming out high score It's Thursday already and I am ahead this week too if you check it out you will see do you stop giving if I come out ahead each Week. Today is 4/24 Thank you for any help Why no answer to my question? The further you go the tougher it is. Sometimes a “hard” game is simply one that you can’t win without forking over the bucks. Cannot reccomend. For no reason, King took about 248 gold bars from me. Tried to contact them several months ago, and have tried through this review almost everyday since then. No answer. Want them back. 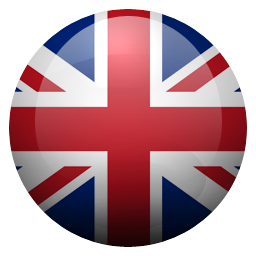 No response on forum nor via website contact us email. Waiting. 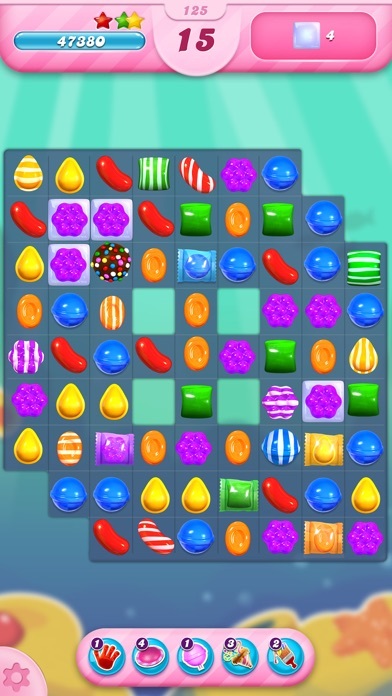 I’ve passed this level twice on my last move and after 3 of the seven cherries get counted for the game ends and say FAILED LEVEL. I just beat it for a 3rd time with 10 moves left and finally I get to move on. Once 1 cherry drops they all drop. Fix the way it ends the levels. It’s B.S. The app vibrates every time you move a candy. It’s really annoying and makes me not want to play. I don’t have sound on, never have. I deleted the game. I brought it back under my account. Can’t seem to get a picture in the frame. Done everything possible, my daughter couldn’t figure it out either. Can’t get no lives or send lives. I don’t enjoy playing anymore with out a profile picture. It says I’m hooked up to Facebook, but I still don’t have a picture. I don’t like the game anymore. If I can get my picture in the frame, I would go back to enjoy playing. What happened to the candy drops? 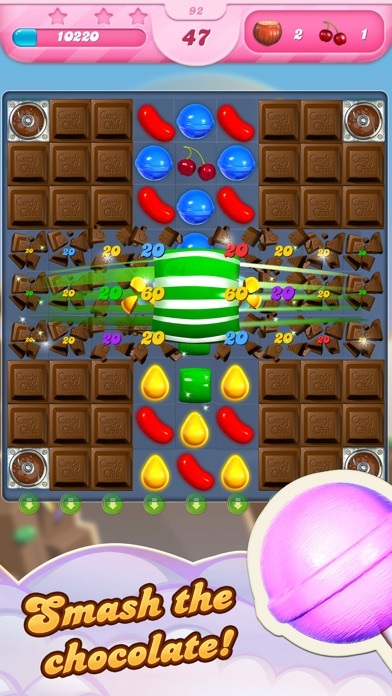 The only reason I play previous levels is to get candy drops—boosters—so I can pass the extremely hard new levels. I’m level 4655, but if they’re gone, then so am I.
I understand how you have to put earning sugar drops on a time out. How about taking an hour off for every level you move up while it’s timed out? More incentive to play. Suddenly the price of purchasing my bank has doubled... a bank of 60 bricks is now the price of 30. Well King Developers you have lost a paying customer. This game is so addicting. Makes me think out of the box. Why have Destroyed this Game. It’s beyond be Take all the boosters away and Contests? Why it was so fun. No more contests no more boosters perhaps making a million a day off of nothing is intoxicating. I love playing before bed my game is wonderful. I finally saved up 10 gold bars and my phone glitched out and now all my gold is gone! It took months to get that much!!! And now I have 0! I don’t even want to play anymore 😢I have no Idea if there’s a way for me to get them back...I didn’t even get to use them. I’m super annoyed by the recent changes in game play. It’s not fun anymore. Don't bother with this game. They make so many levels nightmarishly hard to pass, it's not fun any more. Delete app!! Great game with awesome potential until you reach like level 50 and every other level you have to use a power up to even have hope at a chance at completing the level. I’d happily pay a one time buy fee of $10 instead of feeling like I have to purchase boosts to complete every stage of the game. Delete. I have always loved this game.thank you. You broke my June’s Journey with your stupid ad. Jerks!! 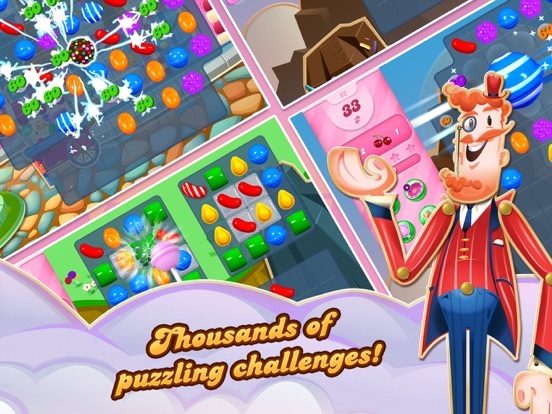 As a kid, candy crush is pretty fun, but there are a few issues. First of all, some levels are nearly impossible to pass because the moves do nothing to accomplish the goal or random candies that you don’t need get in your way. Secondly, you only get FIVE lives. So if you get stuck on one of those impossible levels( like level 670) you loose all of them almost instantly. They also take like 20 MINUTES to recharge just ONE life. The only useful thing is if you get an infinite life boost for an amount of time. The third problem is the amount of gold you get and how much things cost in the shop. Most of the boosters in the store cost like 15 or more gold which you can literally just get from a special event for passing some levels. You literally have to buy the gold instead. There is a piggy bank that you save up until 30 gold but then you have to BUY it. Yet again, I’m just a kid, so I need permission from my parents who almost every time say no. 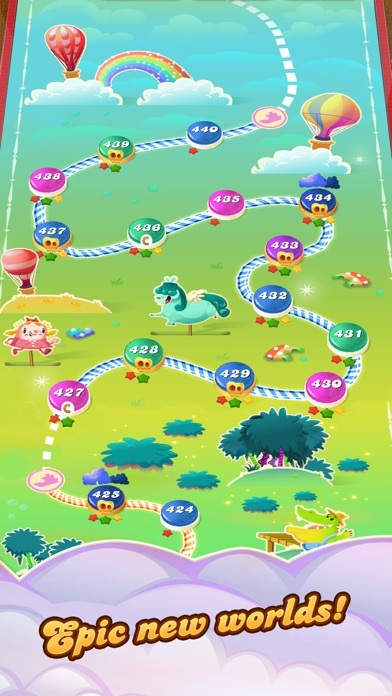 So to end it all off, pretty much candy crush is a pretty decent game except for the impossible levels the more advanced they get, the gold amounts, and the number of lives you get. 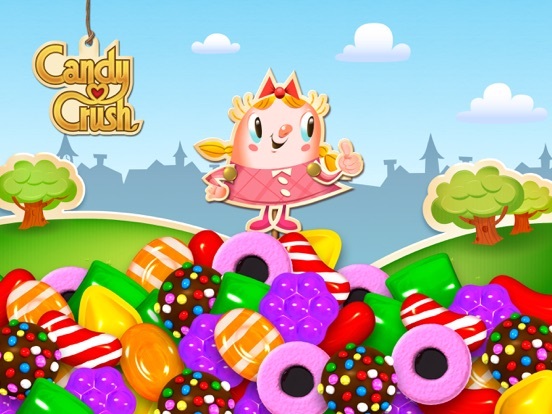 I also encourage you all to give some feedback on what you guys think about candy crush. I love this game but the makers are a bit too greedy for my taste. I'm annoyed that they have removed the feature where you can send lives and extra moves to friends. Presumably this is to force you to buy extra lives. Well I refuse to buy extra lives but I DO buy moves and boosters, so they are losing money on me because now I play my five lives and then move on to another game. If they'd let me have lives from friends like in the past I would probably have spent money on moves and boosters. Also, why is it when the game ends and you have to decide whether to quit or play on, that you cannot see the board so you can actually decide? You should have the option to review. Finally I don't like being placed in a contest (usually just as I hit a super hard level) that I could care less about? Again, this is presumably to get me to spend money to be in the top three. I ignore this but then I dislike being told I'll do better next time like I was trying to win. Anyway, despite all it's a great game and will entertain you for hours. HUGE RISE OF IN-GAME PURCHASE PRICE IS RIDICULOUS! I’m a huge fan of Candy Crush. 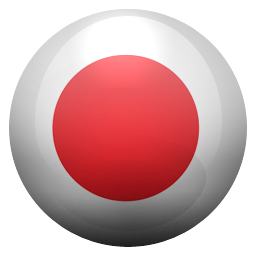 It’s my number 1, go-to, fun app. First, I should say, I do not indulge in most “in app” purchases for boosters or “lives”. If I cannot win a level, I will continue to play with what I’ve got. It’s just not satisfying to advance in a game solely from advantages I’ve purchased versus my own effort. That said, occasionally, I WILL treat myself to cashing out the “piggy bank” of gold bars in Candy Crush so I can buy more “lives”. The bank has always held 60 bars...$2.99 to cash out. That amount alone (assuming I had zero bars reserved to supplement this amount) was pretty reasonable considering I could purchase 5 “lives” for 12 bars. It really wasn’t a bad deal...not GREAT, but worth the occasional indulgence. A little over a month ago (possibly closer to 2 months), without a word, the “piggy bank” shrank down to 30 bars...cash out price STILL $2.99!!!! THEY LITERALLY DOUBLED THE PRICE OF THIS IN APP PURCHASE OUT OF NOWHERE! No gradual shift, straight up DOUBLED THE PRICE!! Are there bigger problems in the world than my Candy Crush budget frustrations? TOTALLY! But how shady is it to gouge a price like that OUT OF NOWHERE for a product I’m pretty loyal to and for which I’m reasonably reliable to provide some income? NO WAY, NO HOW, WILL I SPEND ANOTHER PENNY ON THIS APP UNDER THESE NEW CIRCUMSTANCES. Seriously CC you increase how much gold coins cost?? You reduce the number of people who win contest and reduce the prizes, why? Why are the levels harder? Because you have increased the cost of gold coins and reduced the prizes, that tells me it’s all about the money and you have no respect or appreciation for your loyal users!! There are too many game options for you to risk losing your loyal users! Why would you do that to us?? :-( Done!! I love playing in the contest, that is what makes me keep playing versus switching to another game, unfortunately CC has made changes to their contest! Now only the person who comes in first wins a prize, oh and the prizes are a joke!! Really CC, these contest last 4 days and it takes a lot of effort and time just to place in the top 5 but you are only going to give 1st place a prize and even that prize is cheap!! How about instead of spending money on commercials you put that money into more winners and bigger rewards!! Other games make it worth your time to play them, on some of the bigger games even 20th place gets a reward but not on CC! Don’t waste your time playing, the rewards aren’t worth it! I for one am taking my money and playing other games that make it worth my time!! :-( VERY DISAPPOINTED IN THIS GAME!! This game has gotten to be completely ridiculous. It’s all a scam to get money. They only let you win when they want you to, otherwise you can’t. They’re hoping to make you frustrated enough to click on their adds to get extra boosters/lives or pay money. The spinner never lands on the jackpot. As a bonus, if you’re really good they stop you from winning contest. I noticed that I can win a contest but then when I start the next one they make it impossible for me to win levels I can easily beat, until the finest is over. Like they won’t let you win back to back. That’s another thing. Sometimes they give you bad moves to ensure you lose. For ex, the levels with the keys. I can get rid of a massive amount of candies with boost and might come across one key. By the time I get them all to unlock something I have 5-10 moves left, thus making it impossible for me to win. Your players are not stupid candy crush. If you want this game to make it to 2021 with people still playing it, I’d suggest being fair to the people playing it. Making us frustrated won’t get you more money it’ll just make us uninstall. Edit: they’re only getting worse with it. This game is definitely rigged. This game used to be fun. I have been playing this game since the release and am at the top of my leaderboard. I’ve noticed that a few other of my “friends” that were at the top with me stopped playing months ago. I have never felt the need to write a review till this past update. I play PC so it’s ahead 2 weeks from the iOS version. I can tell the developers have run out of ideas for new levels. With this weeks release I not able to use my booster for levels making levels harder to pass, why give me booger’s if I’m not able to use them? Why feed the sheep if I’m not going to be able to start the game with a color bomb? Oh that’s right to get me to pay for extra moves. 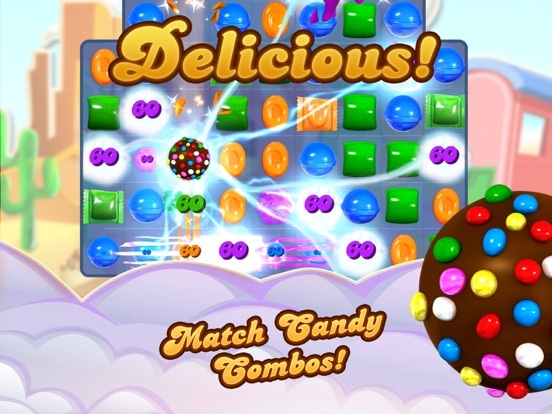 Also a “new” type of jelly was introduced to the game this week, in reality it’s the jelly from candy crush soda. I would know seeing as I begin playing that game and quickly gave up seeing as it was a hyped up CC. 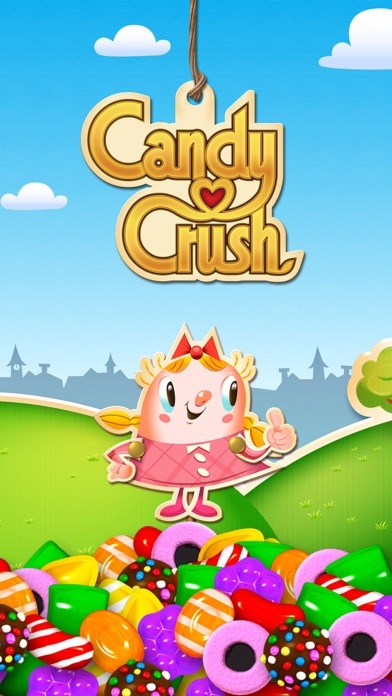 It was bad enough the developers went back to the old CC levels and added wafers there but to now introduce the same crap from candy crush soda to this game is ridiculous. I don’t play that game for a reason. If I wanted to, I would but I preferred Candy Crush till now. Listen to your players before you guys totally ruin the game! Well since most cell phones are lease now, you are locked in to upgrade or pay for a lease that goes no where or buy your phone that you’ve paid on for 2 years... anyway... disappointed that when I did upgrade and I loaded phone from a back up, my bonus speckle ball, lollipops, wheels, etc that start at beginning of each game were all gone. I had saved 100’s of these to use on very hard levels. I’m at level 1002 and all my bonuses are gone. This is only candy crush game that it happened to. 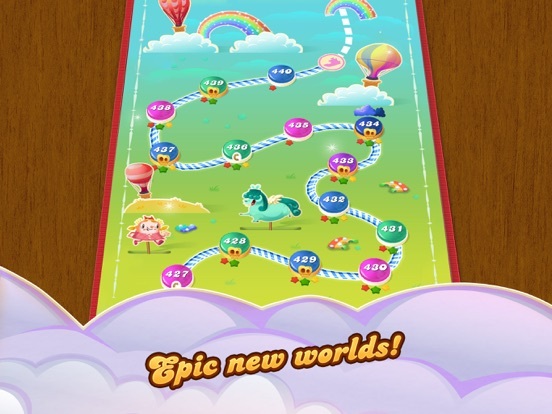 In candy crush soda and jelly, my game bonuses were saved. That’s very frustrating. If I didn’t love the game, I’d stop playing. It will definitely put a damper on playing the game. Second star deducted because that stupid gold bar bank... whoo, I get to purchase bars I earned... for $2.99! Wow, what a deal!!...NOT! And it constantly reminds me that it’s full and I need to purchase them. And full at 60... I’ve added way more than that to bank that isn’t even counted. I’ll purchase my 1000 bars that never gets accumulated for $3?? Get real... reset the bank or make it go away completely. I have been a candy crush addict since it came out. It’s so relaxing. As addicting as the game is, the flaws are hard to look past. My biggest complaint is- if I level up when I am already at 5 lives(full), I feel like I should still get the 5 life reward for reaching a new level. Also- waiting 30 minutes for one life? I might be willing to buy boosters and other such things if it didn’t take so long to refill my lives. I paid the $2.99 for the piggy bank, thinking it was a one time purchase and then you can just have it, not the case. You want me to pay 3 real life dollars for an imaginary piggy bank for my imaginary gold bars every single time I fill it up? And not even warn me that it’s not a forever kind of buy? Rude. I don’t understand the contests at all. There are no explanations for them. I’ve been in the top 3 multiple times and it shows a treasure box next to my status but I never get any rewards. There are so many side contests going on that it all gets very cluttered on your home screen and I really don’t care to do the side contests but I have notifications for them that I can’t delete. Annoying! When I start a new level with boosters from an event (especially with color bombs), the game "zaps" the boosters into existence. Here is where the problem starts. Because the color bomb (CB) was zapped onto a color (say, orange) if I use a color bomb, or put 2 oranges together (usually on accident) next to the CB, it detonates bc the game thinks its a CB AND an orange candy. This is extremely annoying bc the CBs detonate without me using them. PLEASE FIX THIS!!! PUT IT BACK TO THE OLD WAY WHERE THEY WERE ALREADY IN THE LEVEL WITHOUT THEM BEING "ZAPPED" INTO EXISTENCE! More annoying things: why did u make levels 223, 237, 252(my used-to-be fav), and more MOVES LEVELS!? 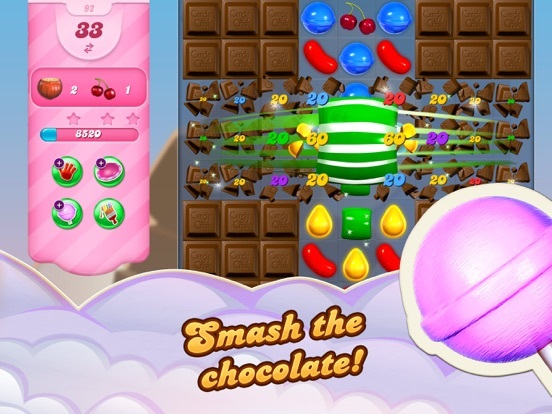 Level 252 especially, where u could play infinitely bc time candies kept coming down, u shouldn't have changed it! Change it back! Don't "fix" things that aren't broken! Also, why do I need to look at AT LEAST 2 events before I go onto another level? Usually idc about the events. Can there be a way to turn this off? Lastly, why is there a piggy bank that COSTS $2.99 TO BUY? If I earn the gold from playing levels, I shouldn't have to buy them, especially for $2.99 EVERY TIME I FILL IT UP!!! That's what EARNING means! Please make it free, or at least lower the price. I’m on level “gazillion,” and I’ve noticed a player MUST purchase additional functionality in order to move forward. I’m willing to do so from time to time, but I get to the point where I cease playing for days or weeks if I swiftly exhaust a purchase but still can’t play through the impossible level. 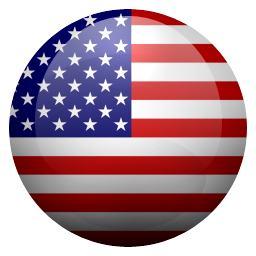 Unfortunately, the new Apple software upgrade forces touch ID; though mine works for other programs, it won’t in Candy Crush saga. So I can no longer purchase, either! I give it three stars because it IS enjoyable when you can play casually. I take two stars because playing casually is only a rare option now. I suppose I’m not the usual “gamer” if I just want to wile away 15 or 20 minutes without undue complications. When I’m playing, it’s solely for relaxation, so I feel no need to beat other players, to compare myself to other players, to send or receive “lives,” to share my goings on with the world via social media platforms, or to challenge myself in mindlessness (the later of which is an oxymoronic pursuit). Please: just let me play! I decided to try Candy Crush because of its popularity. I wanted to find out what made it so popular. I still haven’t figured it out. Mostly I think it’s a lot like an old-fashioned pinball machine, with lots of bells and whistles and flash. I decided I wouldn’t bother using any boosts, and definitely no real money, and just see how far I could go. Well, I got to level 61 real easy. Like, so easy that some levels I only made one move on the board and it cleared itself. And then came 62... It’s called a Nightmare level, or something like that. A level deliberately made to make you want to use boosts AND SPEND REAL MONEY. Well, no thank you. Is it a matter of just re-trying until you make it through? I don’t think so. I have re-tried this level many times over the last few days, up til I’d run out of lives. It’s a horrible level, nightmare is right. And then I’ve heard about an even worse level 65... No thank you. It was fun when I was brainlessly breezing through levels, sometimes we can use a bit of mindless harmless fun. But now I’m supposed to go beat my head against the wall? I get enough of that in real life. I used to love this game, but the higher levels are getting so frustrating. Some are ridiculously hard to pass . I've been stuck on level 245 for weeks I think? So many times I could have won the game if you allowed cascading stripped & wrapped to count. MANY times I had the two cascade together, but they never counted! What's with that? Because I didn't "manually" put them together, it doesn't count? Ridiculous! You should really fix that...Also, you should make it so that if you want to use one of your "tools" like the fish or a candy bomb, you can choose them at ANY point in the game -it shouldn't be a choice "ONLY" before you start the game... Also, VERY frustrating that you loose your spaceship and boosters you win for completing a level on the first try if you don't immediately go on to the next level. I was in my last life, and I accidentally clicked out of the game after winning a level and when I went back in to go to the next level with my spaceship and boosters, I couldn't. Please fix this so people can use their spaceship and boosters when they choose. This is a review to follow up the review that said the F—- word and other horrid words that I didn’t mean. It was a horrible review and I take it back. I know you can’t take something back that is already out. You can’t put the toothpaste back into the tub. The least I can do is apologize. Once again I’m sorry for what I said. I was just stressed enough and I came on this game to leave the stress but only caused more on a nightmarishly hard level. I know I know this is a review and I do have a recommendation. Once you run out of moves you should give just one more move because you might needed one more to beet the level. This is actually a good game and it is relaxing just not on those levels. For the last time I just want to say I’m so deeply sorry for what I said on that interview. At the end of the day this game has saved me through troubled times in the past and those hard levels mold me into becoming more genuine and respectful for gaming. That’s what I realized in this experience. I’m glad to have this game. I love Candy Crush who doesn’t. But the game should be less addictive as it is. I played about 20 levels this morning and they were not easy. What I don’t like is that they only sometimes gives you boosts and such when you don’t to bribe you into the game. Something positive I should say is I love how the game is basically telling a story in candy land. The main character Tiff helps animals. I like that the challenges get harder as you go but not too hard that is good so you adapt and don’t notice how much harder they are compared from 80 to 1. And I like the contests because it’s fun to compete with people even if you don’t know them. I am really competitive so of course I do. I hate how they advertise other games by the company in the game because for their own sake people are going to stop playing cause of these adds. The gold bars are great when you have them but unfortunately they go away or spent very quickly that is. Thank you for reading, CatPenguin291 (Padfoot) fellow player. I played the game a long time ago and was stuck at one level where I could not advance, no matter what I tried. I was very frustrated and decided not to play for awhile. I kept seeing the ad on the TV and decided to give it another go. Although I had to start at the beginning again, I quickly advanced and could see that there were a lot of positive changes in the game. I got to that level where I had been stuck before and thought "I wonder what's going to happen this time". I didn't get stuck. There were changes that made it possible to use skills to get through. I was very happy! I've kept going and I'm still enjoying it. My least favorite part is the chocolate that never stops giving and giving.......... It also seems ironic to have to pay for the gold bars I've earned. I'd rather pay for extra bars, not the ones I've earned playing the game. The colors are vivid and the graphics are humorous. This game, including all of the "crush" games are fixed. I've actually gotten into this game, in terms of figuring out the boards and how candies fall. I am telling you. Some if not all of the "very hard level" boards are impossible to do without boosters, unless you are willing to play 21 times, then for some reason the 22nd game of the level becomes insanely easy. As for my claim of robbery... that I was essentially robbed of all my achievements in this game, all because I didn't play for a few months. That's right. I spent money to get boosters, extra lives/turns etc. over a years time (trust me it was a lot of $$) all of which are gone. I figured that by logging in with the same Facebook I would be fine. It linked well enough to adjust my friends list and there placements on the board. But I had to start from level one. That to me is theft. On terms of entertainment it definitely keeps you busy and is really fun. Those are the positives. This time around I'm keeping spending to a minimum. Use 5 lives at a time and wait for it to renew. Never again will I spend money like I did before. Never. Love: addicting (but maybe that should be a hate,lol), really fun, nice way to pass time when bored or waiting in lines - I’ve been playing for at least 3-4 years now and at over level 2000. Can’t seem to give up this particular game and it’s only one of two that I keep playing. Hate: way too many things to click now just to get to play the game. Not interested in baby dinosaur feedings, readerboard stats or anything else annoying to click thru... just let the game be played! Also hate that donut wheel boosters on the daily spin are constantly rewarded, but I can’t EVER seem to use them. I have on average only 1-3 rewards of every other type of booster, and literally 64 donut wheels I don’t get to use... sheesh. Please change that! Same to the jackpot option on the spinning wheel- why bother if you aren’t ever going to reward a jackpot? Would love to see more lollipop hammers and hand switching boosters given out freely. Thanks for considering this feedback! LOVE/HATE relationship with this game. There are SEVERAL levels that don’t give you the number of moves that the King webpage indicates there should be, making some levels near impossible to pass. What’s more, when you’ve earn unlimited lives, candy bombs or striped candies for X amount of hours, those become useless and are wasted because the level is not providing the specified number of moves. While writing this review, I am on level 363 which is supposed to have 30 moves however, it is only giving me 12. 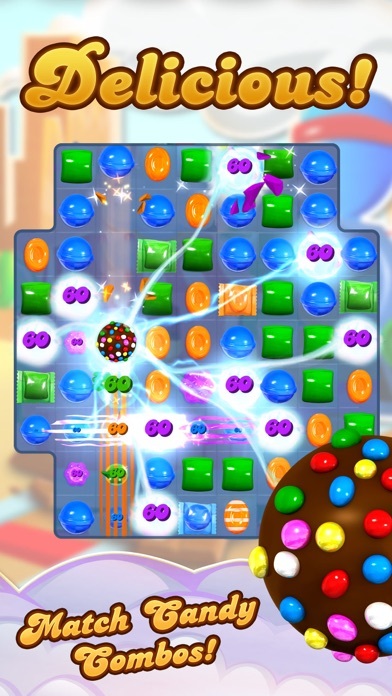 Though I have been able to get through a number of the other levels with the lesser moves, this level is almost impossible as the board is split in a square and a reverse L. Even a double candy bomb wouldn’t clear the 17 jellies as they are meringue’s first so each requires two hits. This all continues even after last week’s update, logging out and back in and deleting and reinstalling the app. I submitted a compliant on the King webpage but, to no avail. Super, super frustrating to say the least. This is a super-addictive match 3 game, but if you don’t particularly want to pay for gold bars and boosters in-game it’s really a pain to have to wait until the next opportunity for a free spin. Maybe add the option of getting free gold bars if you watch an ad? That would make it much more convenient. Also, in the help section you advertise that you’re going to have an option in ‘features ‘ to turn off move hints and it’s been there forever but you still don’t get the option of turning them off. I love this game but it gets really really annoying frequently. Also make waiting time for lives shorter. Also I just found out that I was supposed to get the sweet teeth booster at level 52. I’m on level 665. Please fix this. The same thing happened with the Extra Time booster. I was supposed to get it at level 27. Once again, I’m at level 665. Please please please fix this problem and give the option of turning off the move hints. I’m definitely a CC addict. This is the one game I have continued to play for years. I’m currently on 4445 and waiting for new episodes, however the game is getting more and more random. Some people are getting stamps, some get Dexter, some get the lovely letters, some get the race and others don’t. At one time there were trophies and some get ribbons with a chance at getting a piñata but it is not the same for everyone. Not sure why it is so random. I also don’t like that the build a bot is only for new levels and occasionally disappears and then you have to build from scratch for the next new episode. Bring back the old build a bot/space dash etc.! Also the game is definitely getting harder and trying to force you to spend money. I understand King is a business and they want to make money, but if it becomes too hard and or potentially expensive they will lose some of the addicts who will go to something more fun and not so frustrating. I love reading all of these reviews and seeing all the complaints about people having to spend money for various virtual goods. I’m at level 4550 without spending even a penny to complete any level or to buy boosters of any kind, and I have hundreds of each of the pre-game-selectable boosters. I also love reading the complaints about “i NeVeR lAnD oN jAcKpOt” as if this is something that should be happening frequently. These people, I’d wager a hefty amount, also never land on the check mark booster as well though I’m sure this is never noticed; back when the wheel first came out the order levels were the hardest ones out there(check out the original levels 655 and 677 if you don’t believe me). King has simply never updated the odds of this feature which is completely fine by me as there are a ton of ways nowadays to earn free boosters. Back in the day the wheel was the only way. No doubt, this game is very well-designed and very addictive to play. With that said, know that if you want to start playing Candy Crush that you will have to pay money to advance through the game. There are levels scattered throughout that are next to impossible to get through without purchasing extra turns and boosters to help you break through. It is pretty frustrating for sure. And I’m sure King Games will say that all levels are achievable without paying to do it, but getting through those levels without purchased boosters and extra turns is probably about the same as winning the lottery. The chances really are that low. Also, the daily booster wheel is a total scam! I have been playing the game for over three years and have hit the jackpot once. That is statistically impossible. 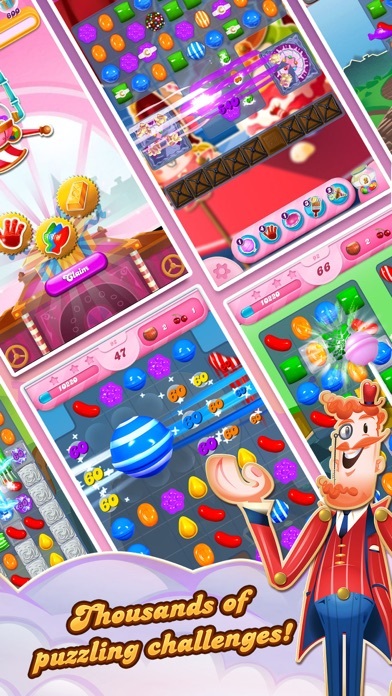 So, like many games, Candy Crush is designed to drain your wallet. But it is fun and I admit I am addicted to it, being the sucker I am. candy crush isn't my favorite game, but for the most part, it's stimulating enough. however, some mechanics are just unfair. i continuously complete levels with high scores, and am told i earn boosts, but they aren't received. i guess it's because i don't have a piggy bank, but im not spending real money for a piggy bank in a mobile game, it's not worth it for me. also the bombs are completely unfair. sometimes i don't even notice them because they're hidden so intricately, or i waste a bunch of moves trying to dismantle them, but i wind up losing countless lives because they're in such difficult spots and im not given the right candies near it to do anything. ive wasted many lives on many levels JUST because of the bombs. they're a cool idea i guess, but they are not worth the frustration and unfairness they add to the game. the other things i can ignore because most mobile apps in this format are luck-based, and try to push in-app purchases as much as possible, but the bombs mechanic is just intolerable. I love this game but I think it’s crazy how expensive it is to purchase items that you need and I hate how you have made it to where you pretty much have to spend money to get those things to really even be able to continue to play. I’m on level 2000 and something and it seems like I cannot progress unless I spend a ton of money which I wouldn’t have a problem doing occasionally but it’s so difficult that to play I would have to spend money all of the time. And lately even when I spend money it’s like you have made it so hard to the point that even purchasing boosters doesn’t help 🤦‍♀️ I think I may have to hang up my candy crush hat and retire. I hate to do that because your game has seen me through several stressful times and helped calm my nerves but lately all it’s done is add stress to me and my bank account! And I’ve been playing this game for years and have never hit jackpot on the spinning wheel! Is it even possible or just there for looks?!?!! I just deleted Candy Crush Saga! I have played this game on my iPhone for years, reaching level 758 at least. And for the third (and last) time, when I needed to make a critical purchase, the game seemed to make the purchase (I use PayPal and used it successfully at an online store during the same time period.) but then said they had run into an error and to try later. No gold bars when I needed them. A week later when I added an iTunes card to my account, it installed but with the exact amount of my aborted purchases missing. CCS Customer service gave me extras when I complained but that doesn’t solve the problem. I have had other problems like being billed twice for one piggy bank or not receiving any reward at all from the bonus dispenser. And I agree with another reviewer who said one NEVER gets the jackpot from the prize spinner—I never have in at least 7 years of playing practically daily. It’s amazing how much more I enjoy playing other RELIABLE games on my iPhone now that I have deleted Candy Crush. Love the game it’s very fun and addicting. BUT I’m very annoyed with the algorithm of the game. Sometimes I’m just wasting swipes during a game bc there’s only one pathetic move I’m able to do for about 10 swipes and then it has to reshuffle (sometimes more than once). It wastes my lives and my time. I understand the game needs to be challenging but the algorithm should allow a path to victory in every game. But it’s very obvious that some of the patterns I’m presented with have no possible route to victory even with extra boosters. ALSO I spent $3 on that stupid piggy bank thinking that’s all I needed to do to be able to use it but no. Once you buy it and start spending gold bars, you’re still unable to collect gold after every winning game unless you buy the whole pig again which is ridiculous. I gave you my money now let me benefit in some way. Especially since the game forces me to run out of lives due to the algorithm of it. I love this game so much! But you could add stuff to make it even better. Like you could actually be able to make any character you want and buy it clothes from peoples stores and change it’s hair color at someone’s hair salon and you could use coins from doing good in the levels to pay for it. You could also be able to design a house for your character in Candy City and buy furniture from peoples stores with the coins I was talking about. And if you had enough coins you could open a store, like a restaurant, or a bakery, or a library, and more. And you’ll get to pick what kind of store you open, you can make it up and you can still do it. 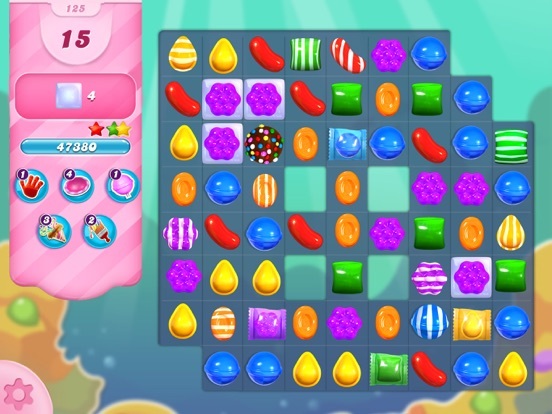 The game Candy Crush would be so much more fun if you kept the same things in the game you have now and what I suggested because once you run out of lives there’s nothing else to do in your game. This game used to be great but has gotten unbelievably buggy. A handful of times now I’ve passed levels, but then when I click “Next”, the game didn’t save my progress and booted me back to the level I just beat. WORST PART is while it doesnt save my progress, the game somehow remembers I used up Boosters and I don’t get THOSE back either! It’s a total rip off and I feel a bit robbed. Also, there is clearly no consistency in the rules anymore. On countless occasions, the stripe candies that form are no longer formed horizontally or vertically specific to how I created the 4-candy match to make it—just now seems like a random luck of the draw. Plenty of times I’ll quickly leave the app to answer a text during the middle of a level and I’ll come back and the game will have canceled my progress and taken away a “life” of mine. It’s too frustrating. I will likely be deleting this app. It’s not fun anymore and quite honestly has only become a point of stress. It’s too obvious that the developers have become money hungry and they’ve done an awful job disguising it. I love this game, and have been playing for years. After this last update, I am having trouble getting my daily bonus, connecting to the "Play with a buddy" area, and now it's not even logging my progress. At the start of a new week, for the first few days, they have you feeding a baby dinosaur to help it grow. You get rewards as you feed it, but now I can't even get my game to lof my progress in feeding it. There are just WAY too many issues for this to be a coincidence, or my phone acting up. I hope they change it soon because if they don't, then I'll just stop playing until another update comes out. Once I put a game on the back burner to come back to later, I have a tendency to not come back for a long while because it's out of site, and out of my mind. So, the developers need to get on the ball with this bug fix, or I'm sure I won't be the only customer taking a break. I love this game and am addicted. I’m up in mid 400’s and a few issues I would love to see corrected. I’m currently phoning Apple to refund a few dollars I’ve spent which is an epic ploy for the developers but a huge pitfall for us who actually spend a little change. Once you get through the simpler levels in each stage and you’ve spent the whole day saving your coins and you finally loose a level. You don’t just loose a level but you totally botch it and you clearly need a good 20 moves to win. Your instinct is to to hit the big green button that typically reads play but now that you lost it says “Refill”. Not only do you accidentally spend 100 coins, YOU ONLY GET 5 MOVES. THAT NEEDS TO BE CHANGED OR MANY MORE MIVES GIVEN. Unless of course you want to continue to cause the players to spend their cash. The other pitfall for this game is the length of time they charge to refill the lives. Do I really need to wait 30 minutes? Fix that and you may have a better game.